Best Sleepaway Summer Camps for Kids Near You! School is out, and the heat is on. Your children are anxious for outdoor action and cooling off in the pool. Summer has arrived, and camp season is here! 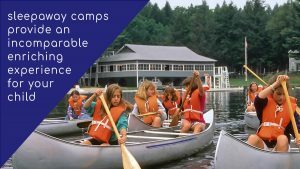 Sleepaway camps offer a unique summer experience that brings children together, encouraging independence and boosting self-esteem at the same time. Your child will love being a part of the exhilarating group experiences, with fun activities designed both for excitement and individual growth. Yet there’s no such thing as a one-size-fits-all sleepaway camp! Want to give your children the summer of their life, but not sure where to find it? That’s where we come in. Our Camp Expert advisors will guide you to the best sleep away summer camps for your family. We’ll get to know your child’s needs, and discuss your ideal location, dates and length of time, and budget. Once you zone in on a few specific camps, we can help arrange tours for you. Since 1987, we’ve been going to camp on your behalf. We’ve visited and evaluated over 1,000 sleep away programs worldwide, carefully taking note of all the details. Our eyes focus on much more than just the ground facilities. We also critique the philosophy of each camp, while observing the staff and campers in real time. Each and every summer, we make on-site visits and update our directory – so you get accurate, up-to-date info. All of our free advisory services are provided with no obligation nor cost. You benefit from our years of experience and our independent, first hand observations. While camp season comes to a close at the end of summer, our dedication to your child’s experience goes on. We follow up with all of our sleep away campers to confirm that they had a winning summer experience. Your feedback is important to us and our future clients. Our advisors work with you every step of the way. Thousands of children have already been enrolled successfully in summer sleep away programs that we recommended. What are you waiting for? Trust our professional consultants to steer you towards the best sleepaway camp options for your child! For more information, check out our Overnight Camp FAQ page or click this link to request information. 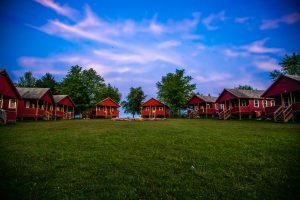 You might also be interested in traditional camps! For free recommendations, complete the form below! Your Summer Planning Starts Here. Our advice and information is always FREE. We have assisted 1,000’s of families for over 30 years. We look forward to providing you with FREE, QUALITY advice so you can make the best decision for your child or teen. Thank you.